The Federal Liberal and Nationals’ Government has committed $2 million for a feasibility study to investigate options for new infrastructure to increase water supply and security in Queensland’s North and South Burnett regions. 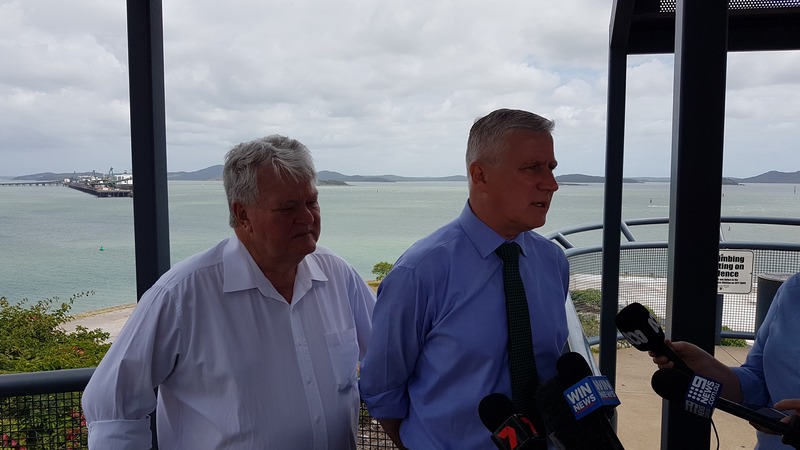 Federal Member for Flynn Ken O’Dowd welcomed Acting Prime Minister and Minister for Infrastructure, Transport and Regional Development Michael McCormack to Gladstone to make the announcement, which will help to drive economic and social growth, in regional Queensland. 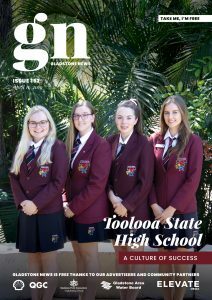 “The feasibility study is great news for farmers in the region as it will examine a range of options and identify solutions to increase water supply that would underpin an expansion of irrigated agriculture, delivering new jobs and economic growth in the North and South Burnett regions,” Ken said. “Through the National Water Infrastructure Development Fund, we have committed over $426 million to get construction underway on a series of key water infrastructure projects in Queensland. This includes $54 million for Hells Gates Dam, $182 million for the Hughenden Irrigation Scheme, $176 million for Rookwood Weir, $11 million for the Mareeba-Dimbulah Water Supply Scheme and $3 million for the Nogoa Mackenzie Water Supply Scheme. We have also provided nearly $25 million for 15 feasibility studies to identify potential new water infrastructure projects that could increase water supply and security for farmers, businesses and communities in Queensland,” Ken added. Mr McCormack also welcomed the feasibility study announcement, which forms part of a historic expansion of the National Water Infrastructure Development Fund, of more than $500 million. Mr McCormack said the expansion of more than $500 million includes a feasibility component of $30 million, which is being used to support State and Territory Governments with finalising the design and approval of activities which are required to progress critical water infrastructure projects towards construction. “Water is the life-blood of regional communities and this historic injection of funds will be a game changer for many communities,” Mr McCormack added. The Liberal National Government will expand free access to glucose monitoring devices for pregnant women, children and more adults with type 1 diabetes, saving residents of Flynn up to $7,000 a year. Mr Ken O’Dowd welcomed the $100 million announcement and said the investment gives certainty to Type 1 diabetes sufferers. “This additional funding over the next four years will ensure that free glucose monitoring devices will be available to over 37,000 eligible people with type 1 diabetes across Australia,” Ken said. “I had the pleasure of meeting with Local Gladstone resident, Jaceen Ross who travelled to Canberra on October 24 of this year. She gave me a real in site of what it is like for the 8% of people who are living in Flynn with type 1 diabetes,” Ken said. children and young people with conditionssimilar totype 1 diabetes who require insulin. The Liberal Government also plans to add the new the FreeStyle Libre flash glucose monitoring system to the scheme for these people with type 1 diabetes. This will provide patients with more choice in how they manage their diabetes through this important program.